Some research finds being authentic correlates with greater well-being. When we linger beyond what we know to be wise for ourselves at a party or business networking event, we can feel those energy leaks the next day. 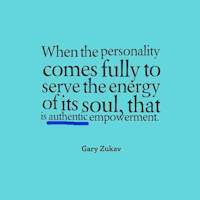 In being authentic, we honor ourselves. Behaving in-authentically to please others is no guarantee we will be happier. Consider the drastic recent conversion of Bruce Jenner to Caitlyn Jenner as an extreme example. Some of the video interviews revealed the sadness and pain in the years of hiding instead of honoring. More research by Kernis and Goldman says that authenticity includes being in relationships in which we can act naturally and be accepted. Can you imagine not being able to share your innermost fears or thoughts because of feeling you need to be or behave as someone you are not? Being anything but ourselves can be an energy vampire. Gray’s portrait changed to an ugly side of himself in part because he denied seeing his true self. Maybe in denying our self of who we are, with our gifts, our talents and contribution to life and business, a part of us will be wasted. 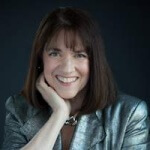 If inauthenticity is an energy vampire for you, what can you do to maintain your authenticity? Summary: Authenticity is the simplest way to energize your introvert. Have you ever wondered if you would make a good candidate for hypnotherapy? 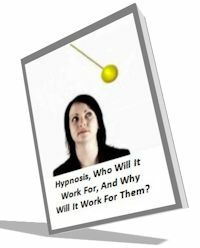 Alan B. Densky, CH, a certified consulting hypnotist with over 37 years of experience wrote this easy to understand, information packed 63-page synopsis just for you. Click Here To Get It FREE – This is the book to get! This entry was posted in Introversion and tagged energy. Bookmark the permalink.